Discussion in 'Panasonic TVs Forum' started by greencode, Dec 20, 2016. So, I called Panasonic and even they weren't sure! So a slightly different look i.e. light and stand and "In-house TV Streaming". It does have built-in Wi-Fi. I've managed to find the user manual which indicates as such. Both also appear to Edge-lit. So lighter but deeper than the DS500 (Not an issue as I won't be wall mounting). Even looking at this comparison site Comparison between: 40" Panasonic TX-40DS400, 40" Panasonic TX-40DS500 there appears to be nothing between them other than that increased depth and weight. Apparently they can both receive the 'in-house streaming', only the 500 can receive the signal wirelessly and the 400 only through a wired lan connection. I thought he meant or that that might mean that the 400 (therefore) didn't have a wifi adapter but according to the specs it indeed does. Other than that the 400 looks a lot fatter which the specs also indicate. Perhaps an indication it's direct-lit LED and the 500 edge-lit but that's just guessing ... (power consumption seems to be 42W for the 500 and 48W for the 400). Of course the in-house streaming is completely irrelevant without a tv that can act as the server so it mainly comes down to looks indeed (unless the panels are different, but even then they are both 40" so they are almost certainly both VA types). Decided to go for the DS400. It's not our main TV and as I said the only differences are unit depth, different stand and different bezel. As I've got a separate stand that's not an issue anyway. I'll report back once it's up and running. 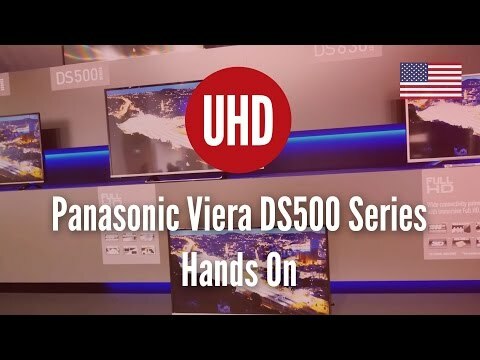 Question Panasonic Viera tx-40ds400b: stream video from web in flash? For Sale Panasonic TX-P50GT60 - Stunning TV! !